If you have put the wrong fuel in your car, be sure to call one of our qualified local engineers in Hertfordshire. 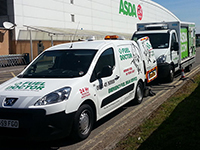 We have Fuel Doctors covering all the local areas in and around Sunderland and the surrounding areas. If you live in any of the following areas we can be with you within the hour and the process can take anything from 15 minutes to 30 mins to get you back on the road again. 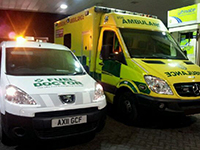 Our fuel doctors have been operating in Herts for many years and have a large presence in the area. Some of our customers have commented on our testimonials page about how good our service and if you live in the Hertfordshire area and have put the wrong fuel in your car then please feel free to leave us a review to let others know that all is not lost when you put the wrong fuel in your car. 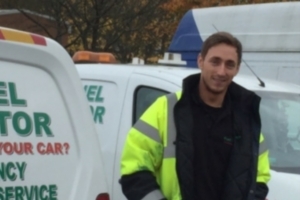 No matter where you are in the Hertfordshire area, we have a Fuel Doctor near you. We will be with you within the hour and with you for around 15 minutes for the fuel drain. Don't panic, just call us. Everyday roughly 15 people will put the wrong fuel in their car in the Hertfordshire area, whether its diesel in petrol or petrol in diesel. It's a very common mistake and easily done, we understand that you need us there fast and to get back on your feet to get on with you life. 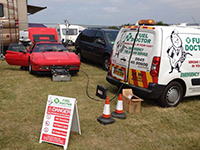 Fuel Doctor are a national company with technicians in Hertfordshire on standby. 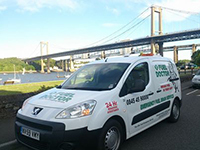 If you have put the wrong fuel in your car you can call us anytime of the day and you will have a dedicated local Fuel Doctor from the Hertfordshire area to get you back up and running. DON'T TURN IGNITION KEY - SAVE THE FUEL FROM DRAINING INTO THE ENGINE.